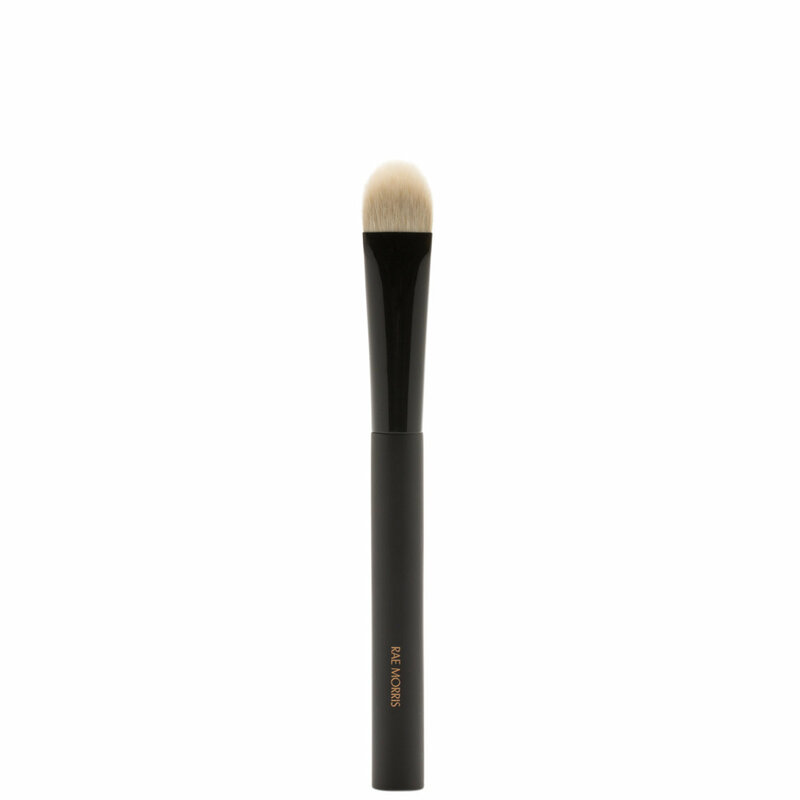 Jishaku #6.5: Angle Eye Blender is an eye blending brush made with natural goat sokoho bristles. The curved bristles get deep into the curves of the eye socket, making it especially helpful for hooded, deep-set, or larger eye shapes. Created by makeup artist Rae Morris in collaboration with master brushmakers in Japan. Blend eye shadow that has already been applied to the socket up into the browbone. Use it with a matte brown shade that’s slightly darker than your skin to define the shape of the socket. This is the best under eye concealer/highlight brush. It is angled, to mimick a fingertip, so it blends concealer (Tarte Shape Tape, etc) outwards flawlessly. Rae Morris brushes are pricey, but are so unique, effective, sturdy, and beautifully made, they are worth the investment.